Leaves can be great stand-alone graphics to add visual interest to an otherwise static layout. Try adding a leaf or two to your article. The topic does not necessarily have to focus on gardening or nature. Instead it could be an article or newsletter on spring, fall, healthy living, outdoor living, recreation, housing, recycling, real estate or clean air. 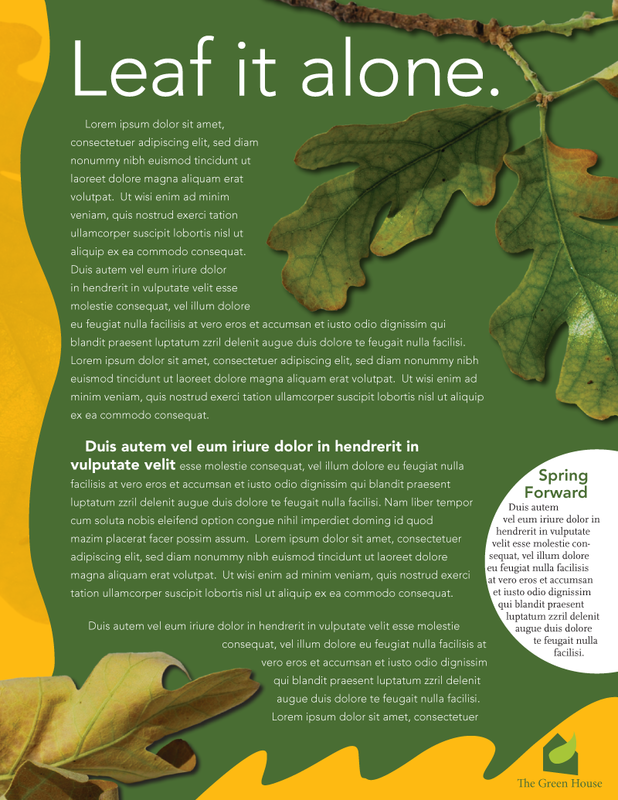 Furthermore, leaves can serve as interesting patterns behind text and great shapes for wrapping text around. 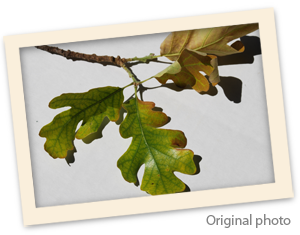 Try experimenting with the different shapes by clipping out the background in Adobe Photoshop. Leaves also add much color to a page layout. The intense green, brown and yellowish hues can really “warm up” a page. Try using the eyedropper tool in Photoshop to extract the colors for use as solid backgrounds behind text or for the borders of photos. Whatever the use, you will be pleased with the result. This type of graphical treatment is fun, colorful and easy to create. Next time you are in a pinch don’t be left hanging from a branch without a design approach. Try “leafing” it. This entry was posted in Newsletters and tagged Adobe Photoshop, Backgrounds, design, Free, Graphics, Image editing, Page layout, Photoshop, Pinterest, technology by Successful Corporate Communications. Bookmark the permalink.